Many of your child’s sleep struggles may be significantly lessened by one new habit: an early bedtime. I often talk to parents whose children struggle with waking up at night, early rising, and resisting getting in bed as well as going to sleep. One of the most consistent issues that we need to address for these children is setting and sticking to an early bedtime. Research finds that 18-month-olds with later bedtimes are at a higher risk for motor, language and social deficits. A late bedtime can also negatively affect your school-age child’s alertness and, as a result, their performance in school. A study published in the Journal of Pediatrics found a direct correlation between improved sleep and emotional stability in 7- to 11-year-olds. What’s more, studies show that children who go to bed later tend to have poorer dietary habits and a higher body mass index, or BMI, compared to those who get to bed earlier. The bottom line is that an early, age-appropriate bedtime can significantly affect your child’s health emotionally, mentally, and physically. RELATED: 10 Concerns Parents Have About Their Kids’ Health. The later you put your baby to bed, the more you run the risk of night wakings. One reason is that your child may be too drowsy at his late bedtime to master the skill of putting himself to sleep. In addition, when he goes through a natural sleep cycle—and wakes—he does not have the skill to put himself back to sleep. This becomes more difficult as the night goes on. You might think that a child would sleep a little longer if overtired, but it’s simply not true. The body secretes alerting hormones when we’re overtired, which makes bedtime more difficult and tends to cause the child to wake more during the night. A child who goes to sleep too late, nap-deprived, and overly drowsy will actually be likely to rise early. The ability to “sleep in” does not typically occur until a child is 6 to 8 years old. Children may resist getting in bed for a few reasons. Researchers at the University of California–Berkeley found that poor sleep can definitely lead to increased resistance and conflict at bedtime the next night, as you may have noticed at home. When children have poor sleep habits, you may see more temper tantrums, power struggles, and poor behavior. While these behaviors certainly aren’t unusual for a toddler or preschooler, they become more prevalent and intense if your child isn’t getting to bed early enough. You know that feeling when you need to make dinner but don’t have a plan? You drag your feet and avoid it until the very last possible minute. We can do the same thing with our child’s sleep routine. However, by settling on an earlier bedtime, you will have more confidence and energy to make it happen. Although your child may push back against your new rule, they will actually thrive with well-set boundaries. An early bedtime and a soothing bedtime routine go hand in hand. Instead of just getting ready for bed, you’re making sweet memories together reading books, singing songs, and snuggling. Your child can’t help but benefit from this stable and emotionally secure time. Just keep activities before bedtime quiet and calm. A consistent routine and early bedtime will begin to create a more emotionally secure feeling for your child, which will help him go to sleep more easily. This preparatory time also signals to your child’s mind and body that it’s time for bed. Production of the hormone melatonin—the body’s own natural sleep-inducing chemical—can begin, and he will nod off to sleep more calmly and quickly. RELATED: How to Promote Safe Sleep for Your Infant. Children who get to sleep consistently early, don’t wake at night, and don’t rise early unnecessarily, simply end up logging more hours of sleep, which is what they likely need. Your child’s bedtime will get later as she grows older, but the regular routine and consistency of your expectations at bedtime will rescue you from many conflicts down the line. It will also keep your child from poor health due to bad sleep. Staying up late will be a fun exception rather than the regular routine. If you gain back some time in the evening—not to mention, during the night or in the morning—you can enjoy more personal time and probably a better night’s rest yourself. This can mean a more energized parent the next morning. That’s a win-win. Your baby’s bedtime should be early compared to yours. While it’s normal for you to stay up until 10 p.m., it’s really not OK for your baby. Learn to watch for signs of drowsiness, such as rubbing eyes, fussiness, staring or yawning. Become a student of your own baby, and see what he tends to do right before he becomes too fussy to go to sleep easily. Your goal is to put your baby to bed when drowsy but still awake. As a guideline, most children under the age of 9 should have a bedtime between 7:30 and 8 p.m. This should be one to two hours after dinner. 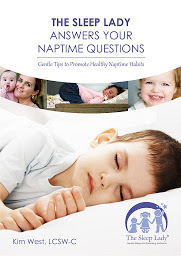 To ensure your child is getting an adequate amount of rest, follow the National Sleep Foundation’s latest recommendations. An early bedtime can help assure an age-appropriate amount of sleep. It’s also important to try to keep evenings calm and quiet after dinner by reading or looking at books, turning off electronics, and even dimming the lights. The single most important advice I give families is to strive for consistency with the new, early bedtime routine. A study in England found that children with inconsistent bedtimes had much worse behavioral problems than even those who did not have enough sleep, and a late bedtime. There were more behavioral problems, such as emotional outbursts and signs of hyperactivity, in those children with random bedtimes. It is so important to make an early bedtime commitment and stay the course for your child’s well-being. RELATED: Is it Healthy to Sleep With Your Pets? Your consistency in these new habits will also bolster his sense of confidence in your care. When we follow through, our child learns to relax in our care and to trust us.